If you dig deep enough into any man’s heart, you will find a desire to own a Porsche – you might have to dig really deep to find it in an ordinary man, but in the case of one who likes to drive fast, it may be lying just beneath the skin, so to speak. On a personal level, I am guilty of such a desire, and one day I hope to be able to fulfill this desire. 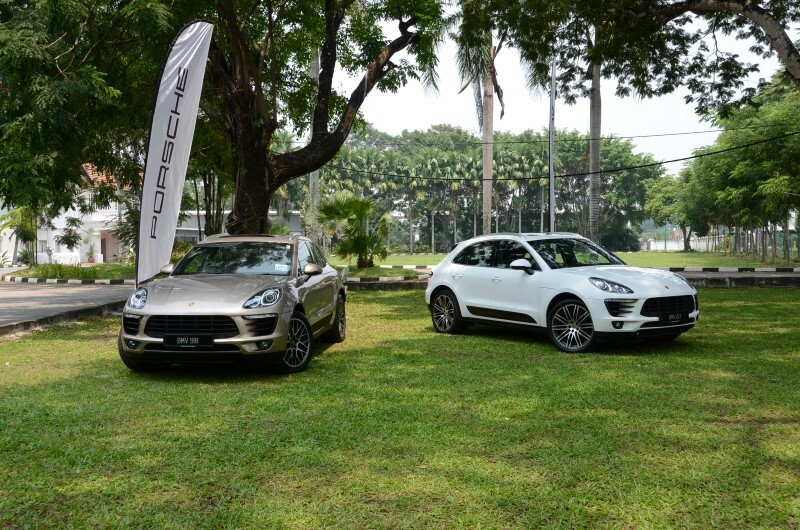 That day may have just come a little closer, for now, Sime Darby Auto Performance (SDAP), the local importer of Porsche vehicles has made available the Porsche Macan series, which is possibly the most affordable series available from this marque. There is a global trend towards ‘down-sizing’ of vehicles – this is the notion of putting smaller capacity engines into vehicles and using forced induction (turbocharging or supercharging or both) to provide the same or better performance as a vehicle with a larger capacity engine. Some automakers go one step further by offering new and smaller-sized ranges of vehicles with smaller engines – and Porsche offers the Macan. For us in Malaysia, this is a blessing of sorts, because in addition to high import duties, we also have a road tax system with a geometric progression of fees after 2.0 litres. The Porsche Macan is popularly dubbed the ‘baby’ Cayenne, and those who know the brand would have guessed by now that it is a SUV. 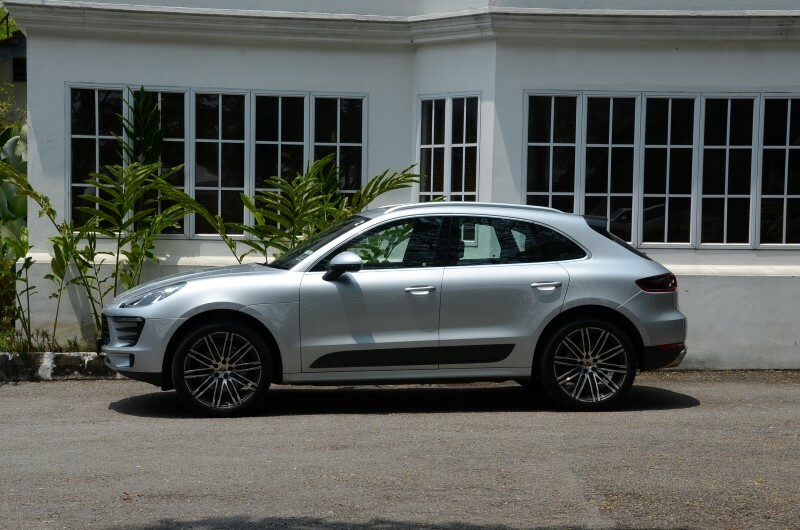 The Macan available to us here currently comprises four variants, namely the base Macan with a 2.0 litre engine, Macan S with a 3.0 litre gasoline engine, the Macan S Diesel featuring a 3.0 litre diesel, and the Macan Turbo, that features a 3.6 litre engine. The naming can be a little confusing, because despite the Macan Turbo’s description, all the other variants are turbocharged too. “Porsche Macan is the first sports car in the compact SUV segment and it is the fifth model line-up for the Porsche brand. It combines all the typical Porsche driving characteristics with all the benefits of what a compact SUV can offer in the everyday life. I am certain that with the new Macan, we will be able to reach out to new owners who are looking into joining the Porsche family for the first time as well as to excite our long-term customers,” said Arnt Bayer, Chief Executive Officer of SDAP. 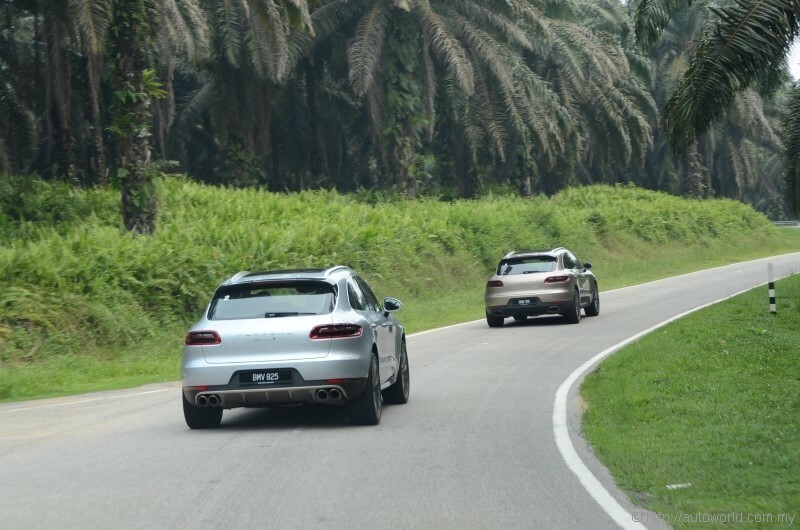 After the above statement and a product presentation by Arnt Bayer, we took the Macan on a media drive organized by SDAP that took us on a circuitous route from the Porsche Centre Kayu Ara to Ipoh for lunch and back. 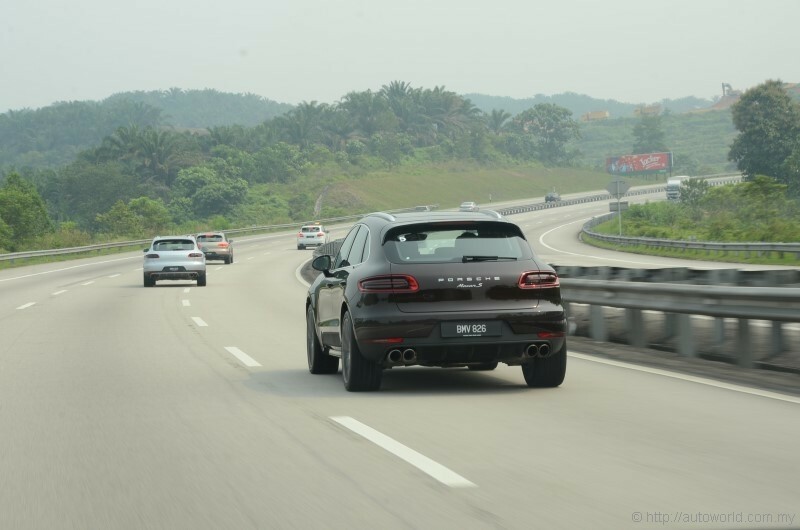 The route covered approximately 450 kilometres, and we got to check out the Macan, Macan S Diesel and the Macan S.
With 237 horsepower and 350 Nm of torque, the Macan is probably the most powerful SUV in this medium-sized SUV segment, and is certainly good to drive. A point to note is that this is the first 2.0 litre 4 cylinder engine to come out of Porsche’s stables in a long time. Nevertheless, acceleration is still quick, with a zero to 100 km/h time of 6.9 seconds, and a top speed of 223 km/h. It handles very well, as all the variants do, but it lacks the ‘punch’ that one would expect of a Porsche. Having said that, most first time owners who are moving up from a mainstream brand would be more than happy with the Macan. The good points of the Macan would be the affordability and the decent fuel economy, not to mention cheaper road tax. Mooted fuel economy for the Macan is 7.2 to 7.5 litres per 100 kilometres; however, in real world terms, expect something around 10 or 11 litres per 100, more if you push it. 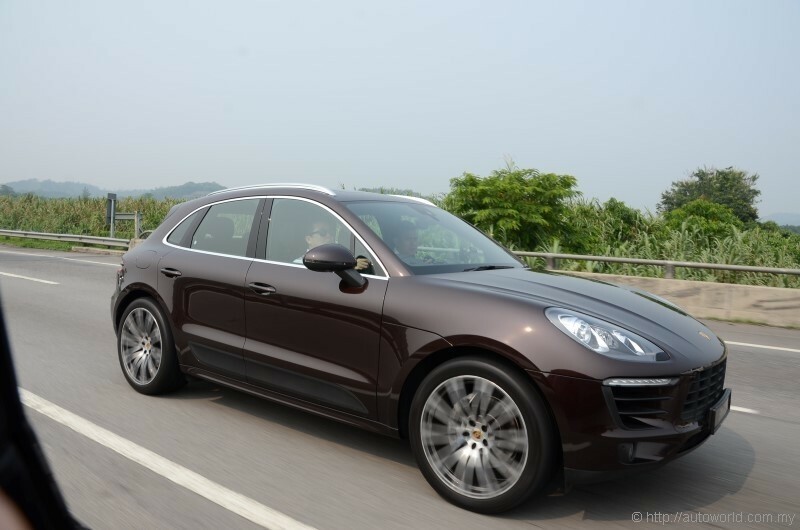 My driving partner Mr. Chew Wooi Foo took the first drive section, and jumping from the Macan, this variant felt more powerful. We were both not sure which variant it was, until the next stop for a driver change – it was only then that we realized from the name plate at the side of the vehicle, that this was the Macan S Diesel. The engine was surprisingly very quiet, despite being a diesel, or perhaps it was the excellent sound insulation. 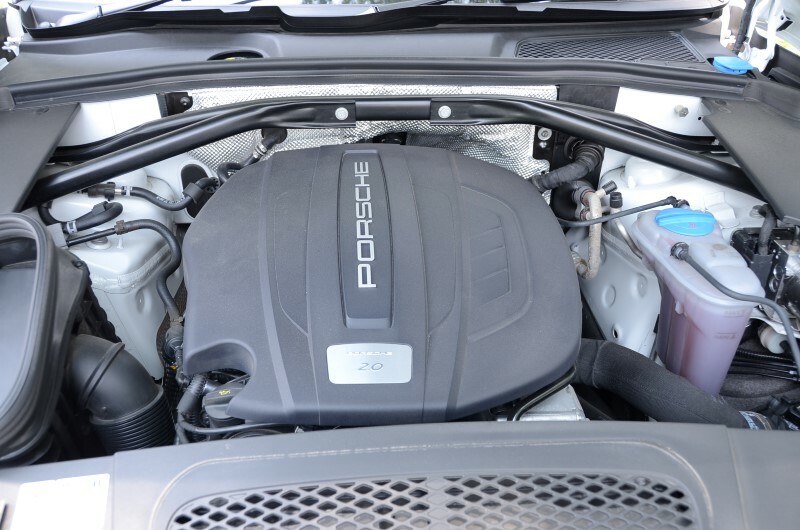 To give the Porsche engineers due credit, the engine sound during idling was just as quiet as a gasoline engine. With 258 horses and a whopping 580Nm of torque, the Macan S Diesel accelerates from zero to 100 km/h is 6.1 seconds, but it is the high torque characteristics delivered at the low RPM ranges that impresses. Over twisty sections, the Macan S Diesel excels, and it can give as good as it takes on the highways with a top speed of 230 km/h. Overall, the Macan S Diesel is a great vehicle to drive, being as quiet as the gasoline versions; what you would be delighted about would be the fuel economy. The claimed consumption figure is 6.1 to 6.3 litres per 100 kilometres, and in our conditions, one can expect figures around 9 to 10 litres per 100 kilometres, consistently. The Macan S Diesel would be what I would like to have as a Porsche SUV, being what I consider as the best package in terms of power and fuel economy. The price of RM545k, though would be a deterrent of sorts, to me, but perhaps others might not find it so. 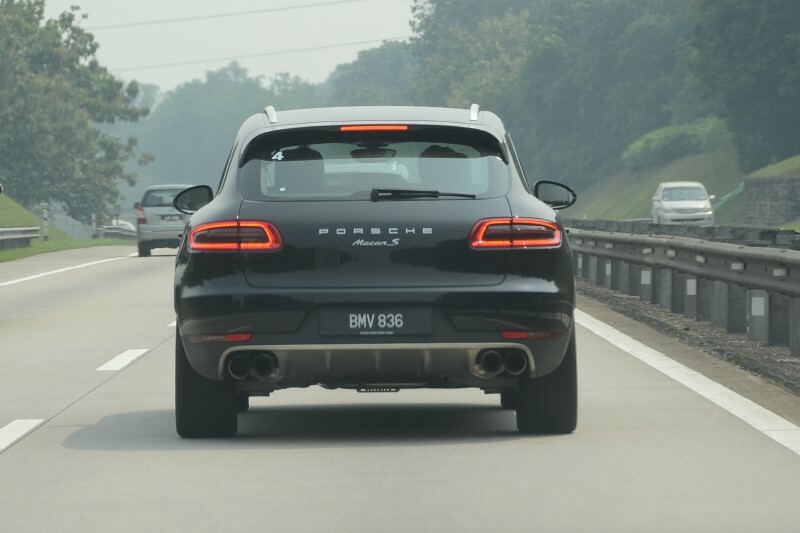 Despite the Macan S Diesel being so good, there seems to be an aversion towards diesel engines amongst Malaysians. The Macan S, with its V6, 3.0 bi-turbo power unit pushing 340 horsepower and 460 Nm of torque is the one with true Porsche performance. Acceleration from zero to 100 km/h is 5.2 seconds, and top speed is 254 km/h (the top-of-the-line Macan Turbo is faster, but we did not get a chance to try it out on that day). The Macan S delivers the ‘Porsche’ driving feel, and I suppose that is enough said. This model would probably be the best seller of the three variants. The new Macan is the sports car of the compact SUV segment. A Porsche through and through, the Macan is setting benchmarks in terms of driving dynamics and enjoyment – both on paved streets and off-road terrain. The Macan brings together the most powerful engine range in its class with the sporty seven-speed Porsche Doppelkupplung (PDK) and one of the finest drive systems in the world – Porsche Traction Management (PTM) in conjunction with a sporty mix of tyres, fitted as standard. Furthermore, the new Porsche model line offers a choice of three sporty chassis versions, one of which features air suspension –an exclusive in the Macan’s segment. The sporty DNA of the Macan, as with all Porsche vehicles, is immediately recognisable in the design. Many details are reminiscent of the iconic 911 sports car and the technological bench-mark 918 model, and the Sports Utility Vehicle is unrivalled in its flat and broad profile on the road. The wraparound bonnet and gently sloping roof line accentuate the overall impression of sporty elegance and powerful dynamics. Many of the design elements have been taken from Porsche sports cars and enhanced for the Macan, making it clear to see from the very first glance that the Porsche Macan heralds the first sports car in the compact SUV segment. 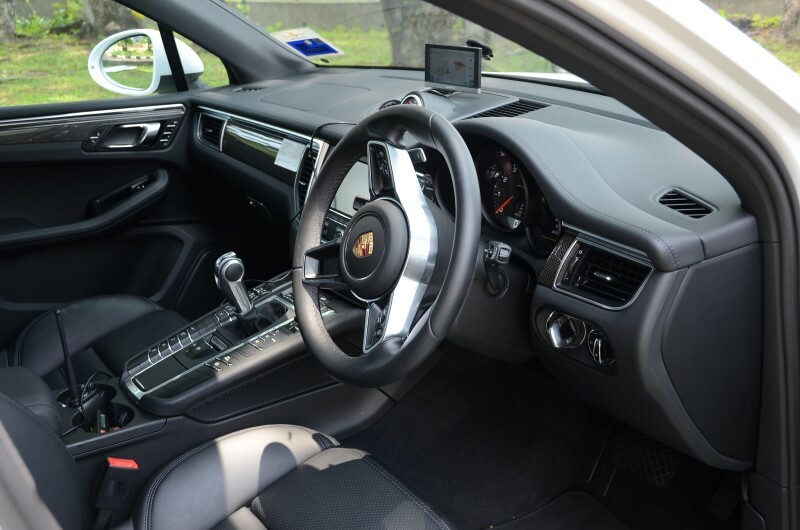 The range of equipment fitted on the Macan as standard is extensive, and includes the all-wheel drive, PDK, multi-function sport steering wheel with shift paddles, large wheels, high performance audio system and an electrically operated tailgate. The list of optional special equipment offers further exclusive highlights, such as the air suspension system: The Macan is the only vehicle in its segment to feature such a system. There is also the Porsche Torque Vectoring Plus (PTV Plus) system, which has been specially tailored to the Macan. This system distributes varying levels of drive torque to the rear wheels and works in conjunction with an electronically controlled rear-axle differential lock. The list of Porsche options includes the much sought-after dynamic high beam forming part of the Porsche Dynamic Light System Plus (PDLS Plus), which continuously adjusts the headlight level in keeping with the traffic ahead and any oncoming traffic. A choice of premium-quality audio equipment is available in the form of the optional sound systems from Burmester® and Bose. The sporty DNA of the Macan, as with all Porsche vehicles, is immediately recognisable in the design. Many details are reminiscent of the iconic 911 sports car and the technological benchmarks of the 918 model. Porsche’s designers have pulled out all the stops to ensure the model’s proportions and lines are typical of a sports car, which are wide and low. A new feature in the Macan is the wraparound bonnet that creates an impressive design detail, enclosing the headlights and extending down to the wheel arches. The imposing size of the bonnet and its precision lines running to the front of the vehicle give the Macan a broad and powerful appearance, while the seamless surface of the bonnet presents a clean front to the vehicle. The new Macan adopts the current DNA of the 918 Spyder in the form of the basic shape of its main headlights, while the sideblades at the bottom of the front and rear doors are reminiscent of the lower door seams on the hybrid super sports car. Combined with the sophisticated door handles, this makes the doors appear narrower and the sides significantly more sporty and streamlined. On the Macan S and Macan S Diesel, the sideblades are painted in Lava Black as standard. The Macan Turbo features sideblades painted in the same colour as the exterior (optional for Macan S and Macan S Diesel), adding to the classic elegance of its look. Sideblades in Genuine Carbon, available for all models as an option, add extra emphasis to the Macan’s sporty character. 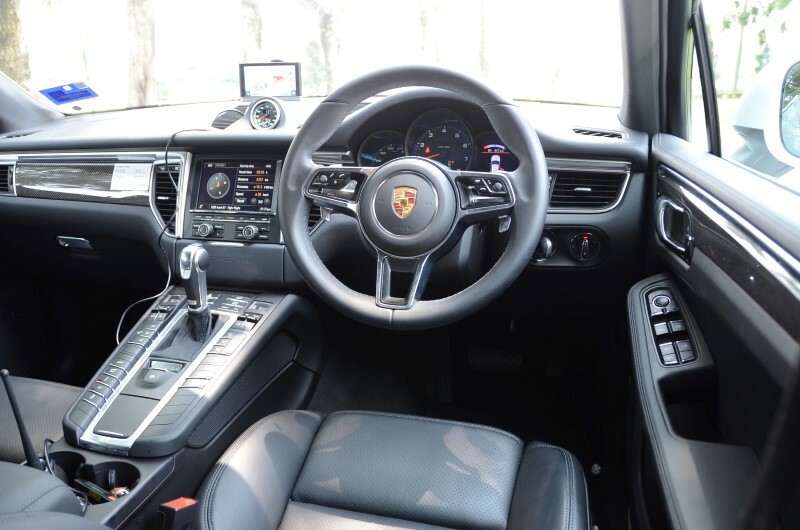 On the inside, the Macan is fitted with a multi-function sports steering wheel as standard, the design of which is completely new and based on the 918 Spyder. A further design highlight on the side view is its sporty sloping roof line which creates a sharp profile and emphasises the dynamic nature of the vehicle, while the design lines running to the rear of the vehicle accentuate the broad, sculpted wings. Together with what are known as the window graphics – the edges of all lateral glass surfaces – and the shape of the D-pillar, these design lines are a nod to the design of the 911. The rear lights on the Macan are another striking feature, boasting an extremely compact three-dimensional design and LED technology – a further reference to the 918 Spyder. On all models, the rear diffuser is flanked on both sides by twin tailpipes – round on the Macan S and Macan S Diesel and square on the Turbo. All models are available with sport tailpipes made from chrome-plated stainless steel as an option. The all new Macan, is a full articulation of Porsche’s commitment to challenge the limits of what a sports car can be. It features a powerful and extremely efficient in-line four cylinder petrol engine with turbocharging, 2.0 litres displacement which delivers 237 hp (174 kW). Fuel consumption is enhanced by its design: as measured in the NEDC, the fuel consumption of Macan is 7.2 litres per 100 kilometres, making it among the most efficient compact SUV in its class. Yet the Macan delivers driving performance – accelerating from zero to 100 km/h in 6.9 seconds, with top speed of 223 km/h. The Macan S is equipped with a 3.0-litre V6 biturbo engine delivering 340 bhp (250 kW) and also features an active all-wheel drive with an electronically controlled, map-controlled multi-plate clutch. This all-wheel drive is fitted on all Macan models. A seven-speed double-clutch transmission transfers power as required and almost without any interruption in tractive force, enabling the vehicle to accelerate from 0 to 100 km/h in 5.4 seconds (or 5.2 seconds with the optional Sport Chrono package fitted). The vehicle reaches a top speed of 254 km/h, and its NEDC* fuel consumption figures are between 9.0 and 8.7 litres/100 km, which corresponds to a CO2 emissions level of between 212 and 204 g/km. 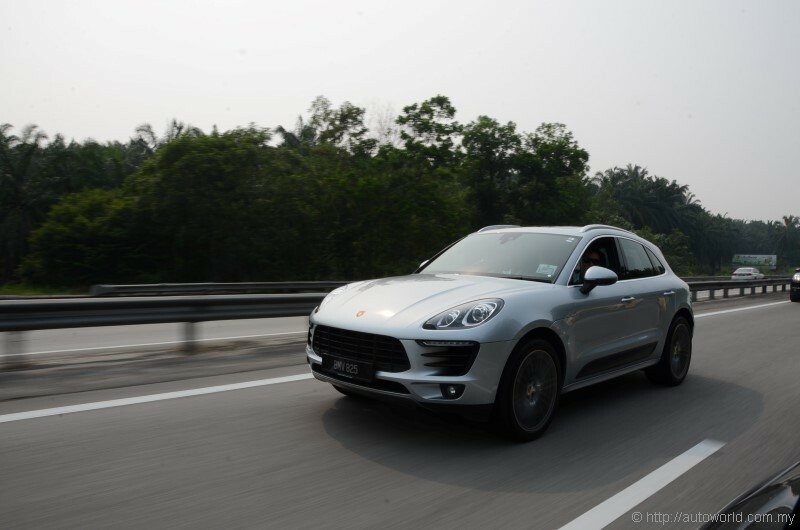 The Macan S Diesel is the economical long-distance runner of the three Macan models. Its 3.0-litre V6 turbo diesel engine achieves NEDC* fuel consumption figures of between just 6.3 and 6.1 litres/100 km, which corresponds to a CO2 value of between 164 and 159 g/km. Nevertheless, the Macan S Diesel accelerates from 0 to 100 km in just 6.3 seconds (or 6.1 seconds with the Sport Chrono package fitted) thanks to its 258-bhp (190-kW) engine, and achieves a top speed of 230 km/h. As the top model in the Macan model line, the Macan Turbo is set to be the most powerful vehicle in the compact SUV segment. The 3.6-litre V6 biturbo engine, which is being used in a Porsche model for the very first time, achieves an unrivaled 400 bhp (294 kW) and catapults the vehicle from 0 to 100 km/h in 4.8 seconds. With the Sport Chrono package fitted, it is even possible to achieve such a speed in 4.6 seconds. Although the top speed is 266 km/h, the Macan Turbo delivers NEDC* fuel consumption figures of between just 9.2 and 8.9 litres/100 km, which equates to a CO2 value of between 216 and 208 g/km. For the first time in a new Porsche model range, all variants of the Macan feature the high- performance seven-speed Porsche Doppelkupplung (PDK) as standard. The advantages of this transmission design include excellent start-up performance, extremely fast gear changes without any interruption in tractive force, short reaction times, low fuel consumption and outstanding shift comfort. The PDK’s intelligent management system allows it to adapt to the required driving profile. As in virtually all Porsche vehicles that feature the PDK, there are two shift gates: On the right, the required switching level is engaged via the typical Porsche gear selector, while the left-hand gate can be engaged manually, or with the standard shift paddles on the steering wheel. Start/stop functionality and coasting for increased efficiency. Active all-wheel drive is part of the Porsche Traction Management (PTM) system and comes as standard for all Macan models. Together with the other elements of the system – the electronically controlled, map-controlled multi-plate clutch, the Automatic Brake Differential (ABD) and Anti-Slip Regulation (ASR) – the all-wheel drive looks after traction and safety. The all-wheel drive system is one of the systems with the fastest response times on the market and its design underpins the sportscar characteristics of the Macan. The rear axle is always driven, the front axle receives its drive torque from the rear axle, and the torque is dependent on the locking ratio of the electronically controlled multi-plate clutch. With the optional Sport Chrono package fitted, performance can be enhanced even further at the touch of a button. The package enables the chassis, engine and transmission to be tuned to an even sportier level, accompanied by a sound that is even more emotive. The Sport Chrono package is characterised by the analogue and digital stopwatch on the dashboard, as well as the additional Sport Plus button in the centre console. 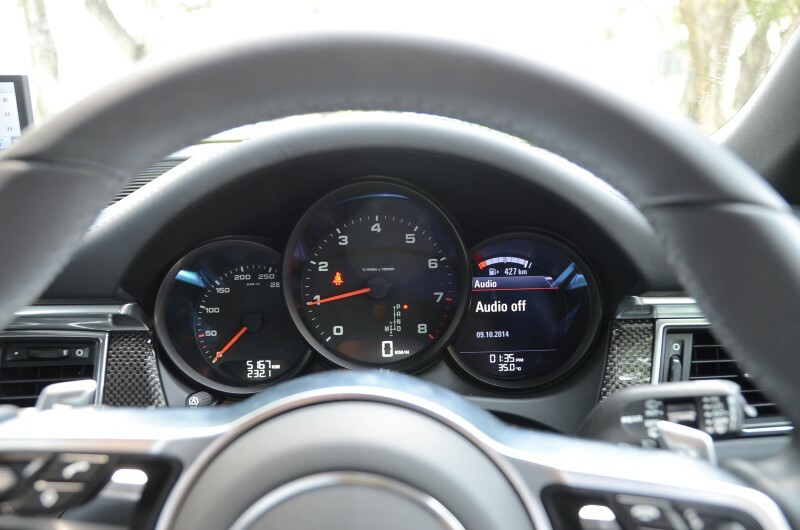 Another element of the package is the performance display on the optional Porsche Communication Management (PCM) system, which provides information on the total driving time, distance travelled around the current lap or the time taken for each lap, for instance. “Sport Plus” offers an even sportier tuning of the engine features and chassis, and switches the gear shifting strategy to racetrack mode. The PDK is now configured for very short response times, optimum shift points and torque magnification during gear changes for maximum acceleration, ensuring the vehicle delivers an even sportier response. Also included as a component of the Sport Chrono package is Launch Control, which enables a level of acceleration similar to that required when moving off in a race. The time advantage gained in a standard sprint from zero to 100 km/h is 0.2 seconds for Macan S, Macan S Diesel and Macan Turbo models. “Launch Control” enables improved lap times and a better spread between comfort and sportiness when it comes to the vehicle handling to achieve a boost in driving pleasure. * All Macan model is equipped with 4-year factory warranty and a 4-year complimentary service, parts and maintenance package. The price stated includes all applicable duties and excludes registration fee, road tax and insurance. Specifications and prices are subject to change without prior notice. Terms and conditions apply.